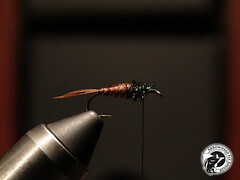 Very effective fly when nymphing faster water above a pool and shallow swifter runs between pools. Works well fished across and downstream as well in deep pools. I use a lot of soft hackles when double nymphing. 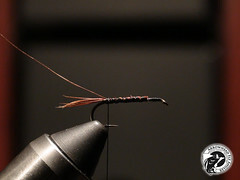 The soft hackle being the last fly in a double nymph rig setup. 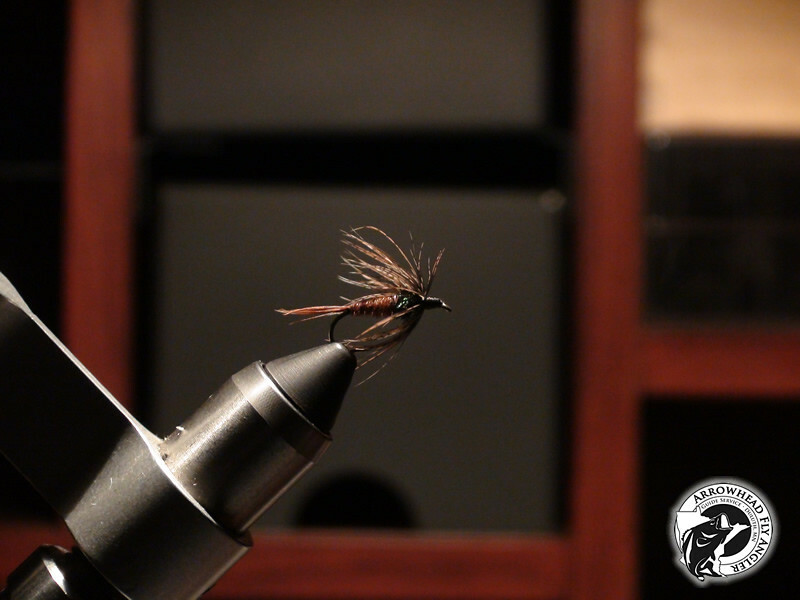 I've used it in trout streams of Minnesota, Wisconsin, Iowa and also in Montana. Also makes a good fall pattern for Lake Superior steelhead. In this example I probably used 1 to many turns of soft hackle. Two (2) wraps would have been just right. You can add lead wrap or bead head for added weight. 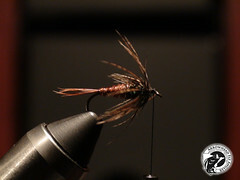 Begin by securing 6-8 strands of pheasant tail to form the tail. Next secure a piece of small copper wire. Using your thread, build up a tapered body to a little past halfway. Secure in 8-10 strands of pheasant tail. Tie in tip ends on hook first where tail section was secured. Wrap pheasant tail around hook. Secure ends with thread and trim off excess. Wrap copper wire over pheasant tail. Tie off and trim. Secure 2-3 pieces of peacock herl where the pheasant tail and copper wire ended. Wrap herl around hook several times. Secure end with thread and trim off excess. Secure grouse feather to hook with tip section. (Gently pull fibers away from tip section, so only the tip section is exposed, then secure this area to hook. Make 2-3 wraps of the grouse feather. Tie off and trim excess. 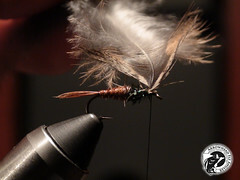 Form a nice head with thread while using your hand to pull back the feathers. While building the head, you should be wrapping over the base of the feathers, making them sweep back a little. Whip finish and apply thread glue.